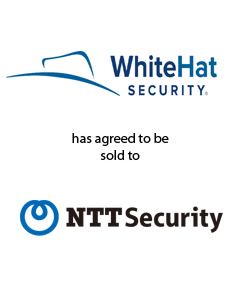 AGC Partners is pleased to announce that its client, WhiteHat Security, the leading application security provider committed to securing applications that run enterprises’ businesses, has signed a definitive agreement to be acquired by NTT Security Corporation (Tokyo) subject to regulatory approval. Post-acquisition, WhiteHat Security will operate as an independent, wholly-owned subsidiary of NTT Security Corporation. With a team led by Maria Lewis Kussmaul and Eric Davis, AGC Partners acted as sole financial advisor to WhiteHat.